It’s that time of year again, National Novel Writing Month. We just had our Launch Party for Salt Lake County. This is my tenth year as Municipal Liaison for the region, and my fourteenth year of participation. No, I haven’t written fourteen novels. One year, I tried to rewrite one from a previous year because I finally came up with an ending so I had somewhere to take it instead of nowhere, but besides having an ending, it wasn’t much of an improvement. And I’ve rebelled a few years and done things besides write novels. At least one year was genealogy organizing. Did I do that for two years? Maybe. And a Camp NaNo one summer too. I had a weird dream just a week or two ago that I wrote down and might be able to turn into a story. I’ll have to think about it more. That’s the only idea I have so far, but I’ve gotten ideas from dreams before. I usually have a weird dream near the end of November and wish I’d had that idea all month. I also have a programming project I want to finish and in the next month would be best, so that may be my rebellion plan. And there’s always some genealogy stuff to get done for my own family, which has taken a backseat to clients for a while again. I still have a few days to decide what to do, and I type fast enough that I can change my mind later. My second year of NaNo, I forgot about it and didn’t come up with anything to write until the tenth day. Yes, I still finished 50k that year. I won’t be breaking my winning streak this year either, I just don’t know yet what I’ll be doing to get there. It’s about that time again. We had a kick-off party last Saturday, and this Saturday begins the month of November which is National Novel Writing Month. I first discovered NaNoWriMo in October 2003, just before I was moving from Nashville to Salt Lake City. I drove into Utah on November 1st and I can’t remember if I actually began my first NaNo novel that day or a little later. I think that was the first year that NaNo had regions and it was for sure the first year of MLs (Municipal Liaisons). Four years later, I was ML for Salt Lake City, and some years later we renamed our region to Salt Lake County, which was more representative of the region. 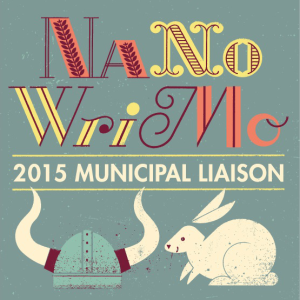 The goal of NaNoWriMo is to write 50,000 words during the month of November. The original rules were to start writing something new, but they have slacked the rules. Most people still follow the original rule. And anyone is entitled to be a rebel. The purpose of NaNoWriMo is to provide the motivation to get some writing done. You need a goal — 50,000 words — and a deadline — November 30th. Those two things make all the difference between writing a novel and doing nothing. I have won every year, as my OCD requires, though several have been rebellion years. I have used NaNo for genealogy a few times. Last year and this past summer for Camp NaNo I did genealogy organizing. I had a lot of files sitting around that needed entering into my database and both were a huge success. An earlier year, I tried to get some genealogy writing done, but it didn’t go as well. I got 50k words written in every year, even if it wasn’t in the format I was expecting. I’m still not sure what to do this year, so I’m leaving my options open. I have two ideas, but neither idea has a story yet that I can stretch to 50k words. I also have more genealogy to sort through, as always. I realized that I missed some things. So I’m going to give one story idea a chance first. If I have trouble, I might give the other a chance. And I am likely to put more genealogy organizing towards my word count again. Let’s see what I can get done next month. What are your plans for November? Well, that month went a little differently than I’d planned, but NaNo tends to do that. I am going to call it a smashing success. My final word count is 80885. That means about 40 hours of genealogy organizing. I’m probably a little closer to 50. I certainly didn’t always stop when I hit the hour mark, I sometimes started an hour but didn’t finish so it didn’t count, and I did some other shorter bursts of work that didn’t get counted. I finished off most of the documents sitting around on my computer, but there are still a few more to go. I am currently churning through emails. I have found some emails that did not get used as sources which I’ve had to add, and I’m being more consistent with the way the others are presented, so I’m going through every single one of them. Email organizing highlights: I found an email from a cousin asking if we’re related — I had no idea back then but I know now. Others asking about a unique surname, I’m sure they will be related to me when I finish the records for that branch of the family too. I continued to do some research as I went, finding some records online and scanning others from the FHL. I still have a list of things to scan from film, which of course will lead to doing a little more research. I never got carried away with it this month like I can do, following up on every lead, so that was good. I did not get to my family newsletters at all. To do those, I need to finish sorting the emails and the Facebook posts, because that’s where the recent news comes from. Since I’m in the middle of one of those, clearly I couldn’t work on this. I did not do much blogging. I worked on two posts that were already mostly written, but I never came back to finish them up and post them. I did not do much on my short story writing. For write-ins, I intended to write some fan fic about minions. I wrote two. I wasn’t thinking about it enough to come up with any other story ideas, so I was at a loss for what to do at write-ins. (I wonder if the movie trailer interrupted my train of thought — my stories depended more on an entirely different origin story that was mentioned in a mini movie.) I did some translating once, attended a genealogy webinar during one, but mostly just goofed off. But even with all the things I did not do, I still did an awful lot. So now, without the support of NaNoWriMo, I need to continue what I’ve been doing and try to get a lot more finished. I won’t need to work in solid hour blocks anymore for my word count, so I may do smaller bits more often. I’m on a roll and I’m feeling really good about how much I’m getting done. And then soon, hopefully by next year, I can get back to working on projects I haven’t even started. Like my Feldstein one name study. Or the Mularzewicz one name study — in this case, I believe they’re all my relatives. Or going through the Polish Catholic records in search of earlier records about my people. And don’t forget returning to Europe for even more. And getting another project off the ground which has been patiently waiting for my programming attention to get it finished. I think I’ll get a little more organizing done now before the Last Chance Write-In tonight. Will I add it to my word count? Possibly. November is about to begin and that means National Novel Writing Month. 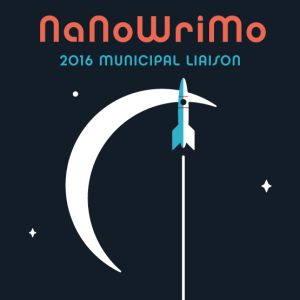 I’ve participated in NaNoWriMo since 2003. In fact, I discovered the event just before moving to Utah and that was my first year. A few years later, I volunteered to be ML, Municipal Liaison, for Salt Lake City. So I’m not just participating, I’m also in charge of organizing for the area. I win every year. My OCD requires it. Even when my story idea is a failure, I still somehow write 50,000 words in the month, which is the goal of NaNoWriMo. A few years ago, I tried to make it a genealogy year. I didn’t have a story idea so I decided to get my genealogy books written. It didn’t go well. Yes, I wrote enough words, but I didn’t get the writing done that I wanted to do. This year, my genealogy goal is different. I’ve already been working on it for a while, but I want to do more faster. I plan to get all of my genealogy organized. My own research always takes a back seat to client work, but it needs to get done. I have files sitting on my computer of records I found years ago that haven’t been added into my database. I still have records that I printed from microfilm that need to be digitized (I usually rescan from the film rather than scanning the paper). I was cleaning up my old sources and putting them into different formats and writing better source citations, and I never finished. I’ve also fallen horribly behind with my family newsletters. The last couple of years, I’ve gone back and forth about doing one big issue or individual ones for each year. I’ve decided that I’m going to do individual ones, and I plan to get them done in November. Well, I usually take longer than that on a newsletter, so if I can get two of them done, I’m doing good. I also have a more goofy idea that will hopefully turn into a few short stories, so I have something to do at the write-ins. I can’t really do the genealogy work at those; maybe a little, but not really. I will have to measure my words differently since there won’t be quite as much typing in my organizing. Being a rebel for NaNoWriMo sometimes means setting a different goal and a unique word counter. Since I can type 85 wpm, that’s over 5,000 words an hour. I will count an uninterrupted hour of organizing work as 2,000 words. Any interruptions will make it count as 1,000. I think that’s fair. With this word count, dedicating at least one hour per day should work out. I hope to go well over the 50k words by counting this way. At the same time, I still need to get client work done, show up to a lot of write-ins, take care of my house, and do whatever else comes along in a month. My true goal is to get through all of the records on my computer. This often means doing more research as I’m going, so that takes up even more time. But then I’ll be ready for the next batch of research. I know there’s plenty more for me to do just from the FHL, but I’ve been putting it off with all of this stuff unfinished. Anyone else writing for NaNoWriMo? I know a lot of other genealogists talk about it. Anyone else ever tried to do genealogy for the month? Another year of National Novel Writing Month has come to an end. I finished with 50,055 words a few days early and still hadn’t come up with any kind of ending for my story, so I stopped at that point. I will soon find more time for blogging and my own genealogy research. I still have to finish blogging the pictures from Ukraine and Paris, then onto all the records. This was my sixth year as Municipal Liaison. MLs are in charge of planning activities for the locals, like write-ins and parties. Kaitlyn has been my co-ML for several years, and this year we had an ML in training, Ike. Next year, we’ll get him signed up officially — this year, he volunteered 30 minutes before the kick-off. My writers were such a pleasure this year. Last year, we had some grief from a couple of them even before November, but this year they were all wonderful. No fights, no threats of secession, they hosted lots of write-ins, just a couple posts that needed moderating in our forum. Last night, we had a Last Chance Write-In, in part because Kaitlyn headed off for a family vacation this morning and won’t make it to our TGIO party tonight. Ike had great timing to volunteer this year, and he was a lot of fun to hang out with. Other events from this month include my computer dying and having to buy a new one. I ended up with a great deal on Wednesday, even better than the Black Friday price. The deals were so good that day, I also bought on a new desk and chair. The change of scenery has been good for me. After tonight’s party, it’s back to more normal. Until next year.